Now that corn harvest is complete, producers hopefully can look forward to having quality silage that is stable and well protected. 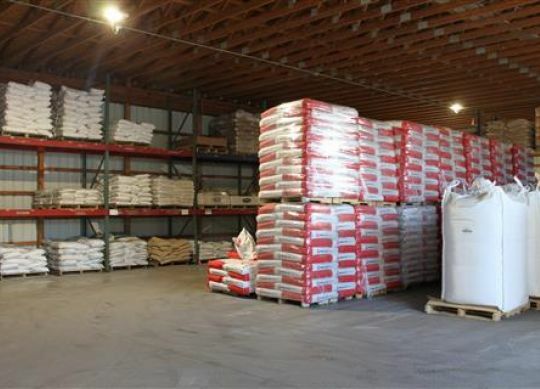 The next steps are to monitor and maintain the integrity of the plastic covering (or bag silos, or bale wrap) and manage feedout to prevent heating and spoilage. During feedout, exposure to oxygen allows spoilage yeasts to become active again, which then starts the process of aerobic spoilage, causing the silage to heat, driving dry matter and nutrient losses and potentially leading to mold growth, severe spoilage and mycotoxin production. Losses can be as high as 30 to 40 percent of silage dry matter (DM),1 and the most highly digestible forage nutrients are lost first. Use an inoculant that is research-proven to prevent heating and spoilage at ensiling. We are commited to the success of our customers! Congratulations Megan Versau on making 30 UNDER 30! Call 1-800-491-COWS response system to field question as they arise.